With this book, Anna Case-Winters provides a reconstruction of the doctrine of God based on process theology and feminist thought. She takes a fresh approach to the problem of theodicy (the justification of God's goodness and omnipotence in view of the existence of evil) and contends that traditional attempts to address this problem are unsuccessful because they do not discuss the meaning of omnipotence. Once the dispute is recast, it is not a question of how much power is attributed to God, but what kind. 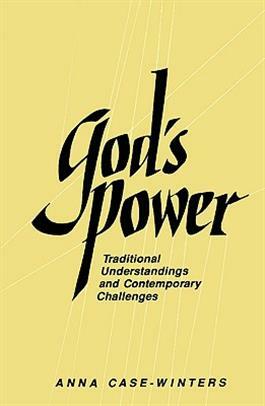 Case-Winters provides a coherent and theologically viable doctrine of omnipotence that avoids the pitfalls of traditional beliefs.